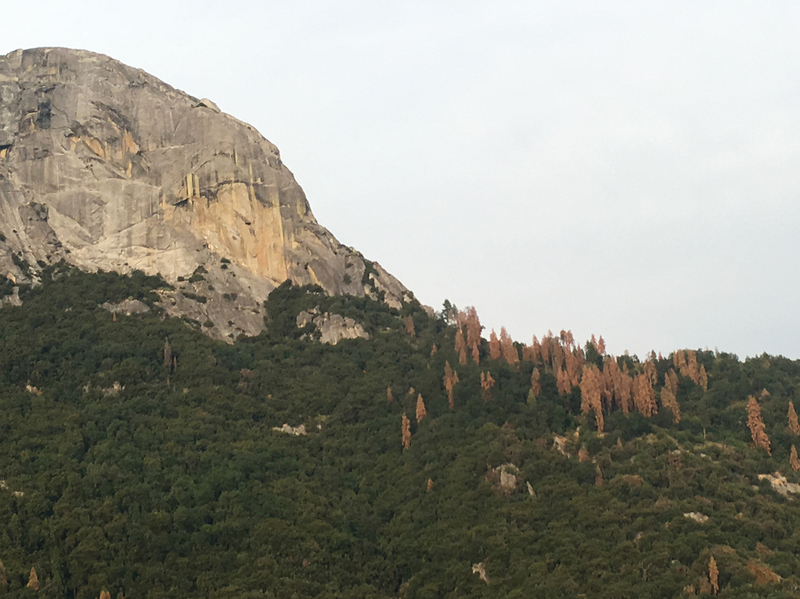 As Drought Wipes Out Western Forests, How Do Sequoias Survive? Four years of too little water is killing millions of trees in the Sierra, yet some giant sequoias still thrive. 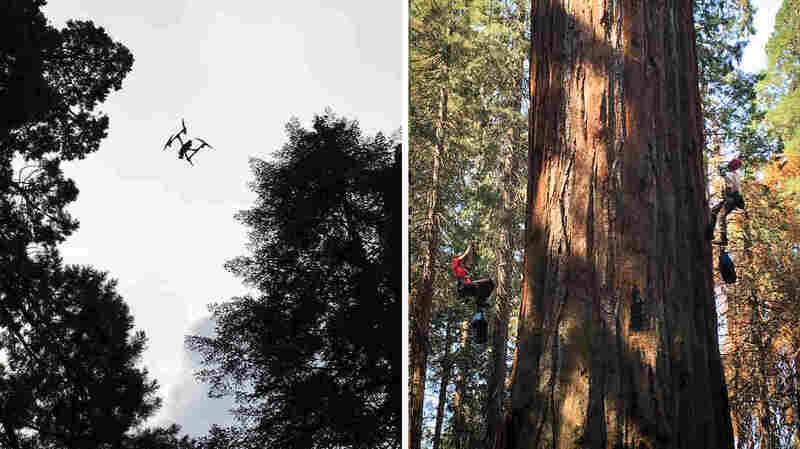 Tree-climbing scientists are exploring sequoias branch by branch to find their secret. 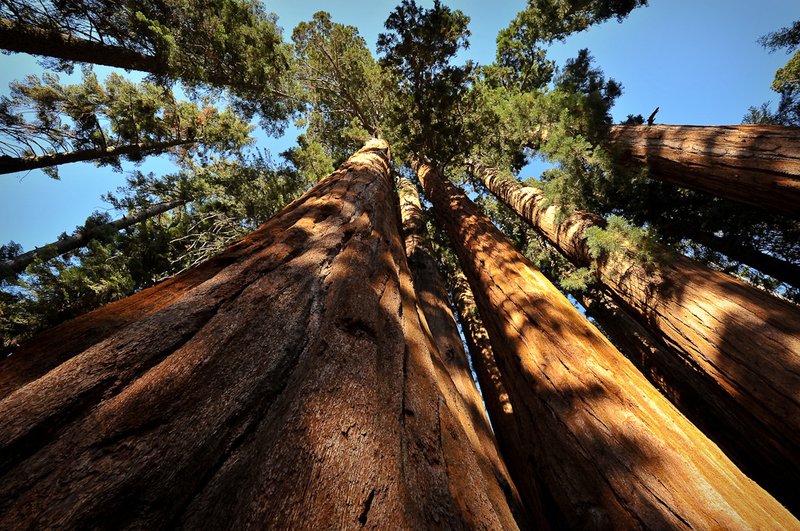 Giant sequoias in the Sierra Nevada range can grow to be 250 feet tall — or more. Left: Dawson's team is experimenting with drones, which capture images of light reflected off the canopy. This light helps scientists get a sense of how stressed the tree is. Right: Rikke Naesborg (left) and Cameron Williams have spent hundred of hours in Odin's branches, taking measurements. A patch of brown, dying trees stands out against the sky and treeline of Sequoia National Park.